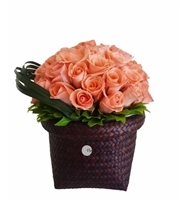 Unusual Orange roses presented a whicker basket. 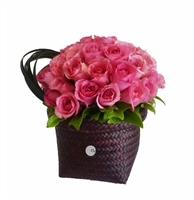 This arrangement has a sleek and contemporary look. A style guru's favourite.